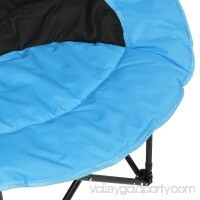 Enjoy the game in comfort with the Cascade Mountain Tech XL Wide Stadium Seat. 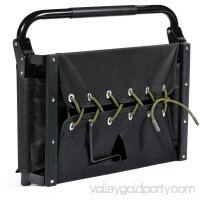 The steel frame construction and tough Cordova canvas with bungee cord reinforcem.. 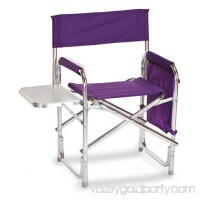 Constructed of high-quality aluminum and 600 denier polyester, the Picnic Plus Directors Chair boasts a sturdy design and can accommodate a weight capacity of .. Features:Sturdy and robust: Scientifically structured design for stability; Strong, lightweight materials provide stability while supporting greater weight (max..
Superior materials meet sophisticated engineering with the American Trails American Hardwood grade Extra-Wide Director's Chairs. Made with Solid American Hardwo.. 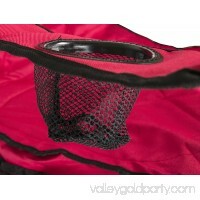 Camping can be a really fun summer activity. Unfortunately, it can also be quite uncomfortable. 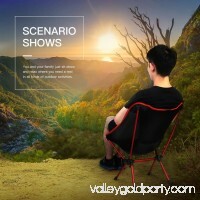 Whether you're talking flimsy tents or improper footwear, the pi..
Take in the scenery with style and comfort in this portable sport camping chair. 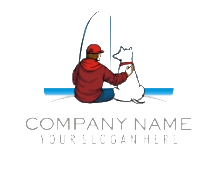 This versatile seating essential is crafted with easy-to-clean, padded polyeste.. 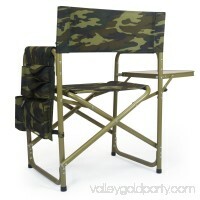 The Sports Chair by Picnic Time is the ultimate spectator chair. 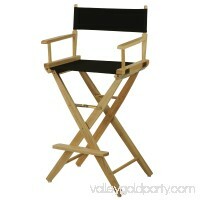 It's a lightweight, portable folding chair with a sturdy aluminum frame that has an adjustable .. 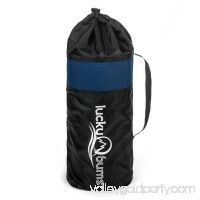 Your little one can rest comfortably and easily wherever your adventures take you with the help of the Lucky Bums Youth Moon Camp Chair, Small. 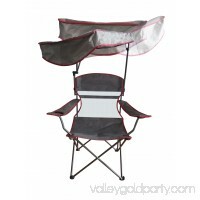 This sturdy, por..
Package Inxluded: 1 x Portable Folding Chair Features: - Made of ultra light 6063 aluminum alloy,it is light ,anti-corrosion,easy to carry - The solid alu..
Take the Ozark Trail Adjustable Sunshade Chair on the trail, to the lake or anywhere you need a seat handy. 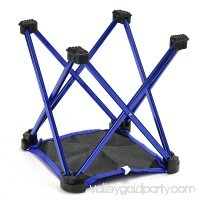 The sunshade can be adjustable according to the movi.. The Coleman Cooler Quad Chair is your favorite spot to sit and chill and have everything you need within reach. 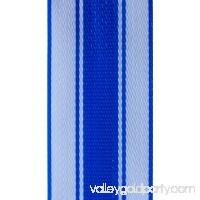 This chair is red hot with an ice-cold cooler bu..
Brand：WebbingProFinish：WhiteColor：White Blue WebbingPro(TM) Lawn Chair Webbing Kit - Blue and White Stripe Lawn Chair Webbing 3 Inches Wide 50 Feet Long Roll .. 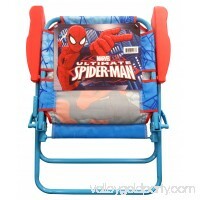 The Spider-man Adventures patio chair has colorful character graphics and is great for indoors or outdoors. Sturdy metal tubular construction. Folds for easy st.. 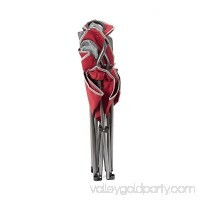 Looking for the perfect walking aid? If you use a cane but need the standing support of a walker, then the EZ UP CANE is right for you! This cane that helps you..